At Last, An Online Program Designed to Help YOUR Management Team Grow Their Skill Sets Any Time They Have Access To The Internet! Few training programs have consistently garnered the accolades that the RAB’s in-person “Improving Sales Managers’ Skill Sets” has. These programs have positively impacted hundreds of managers, enabling them to hire, train, budget and manage better. 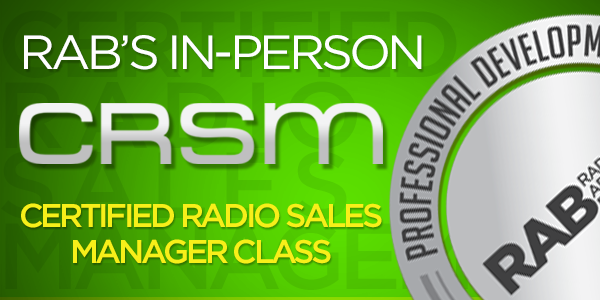 And now, based on the demand for a sales manager training program that does not necessitate travel, the RAB announces its new Certified Radio Sales Manager (CRSM) Class. 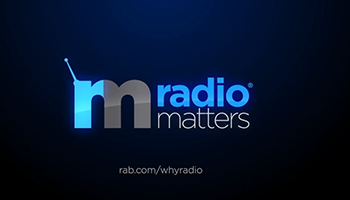 In the tradition of RAB’s Radio Marketing Professional, Certified Radio Marketing Consultant and Certified Digital Marketing Consultant courses, the same in-person quality of our training has been put into our online sales management program. Here is your opportunity to give your managers the tools they need to help them do a better job helping your team, so don’t wait!